Most American consumers know Subaru as an automaker specializing in all-wheel drive, family-friendly crossover vehicles. Models such as the Outback, Forester and Crosstrek dominate the company’s lineup and have helped Subaru achieve years of record sales. 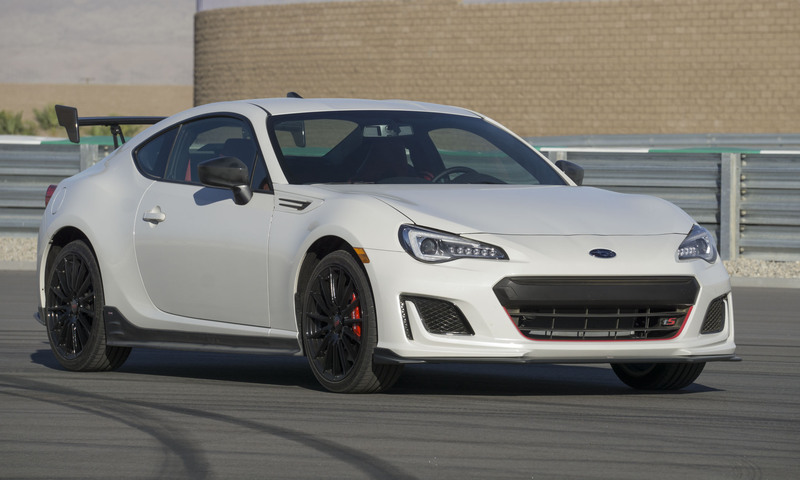 But there’s a performance side to Subaru that builds on the brand’s successful history in rally racing, which helps create models such as the WRX STI and the only rear-wheel-drive model in the lineup, the BRZ. 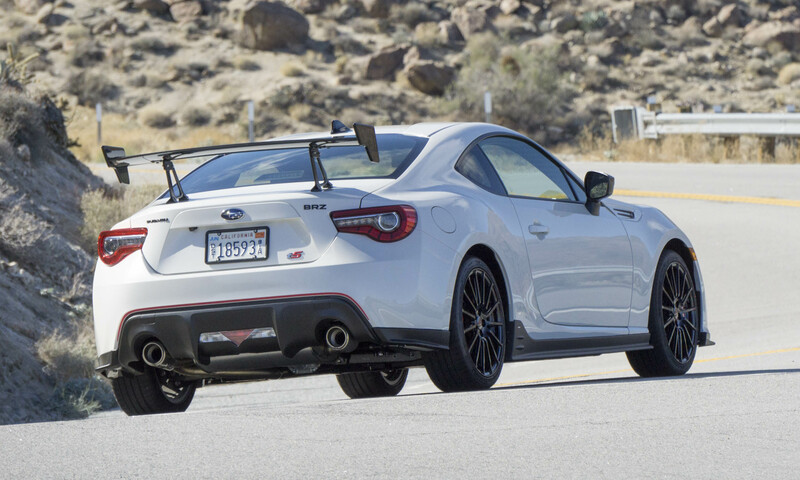 For 2018 Subaru is creating special versions of the sporty WRX and BRZ for enthusiasts who want the ultimate in performance for the street or even the racetrack. We were lucky enough to spend some time behind the wheel of the new track-ready BRZ tS and WRX STI Type RA (see separate review on the Type RA). 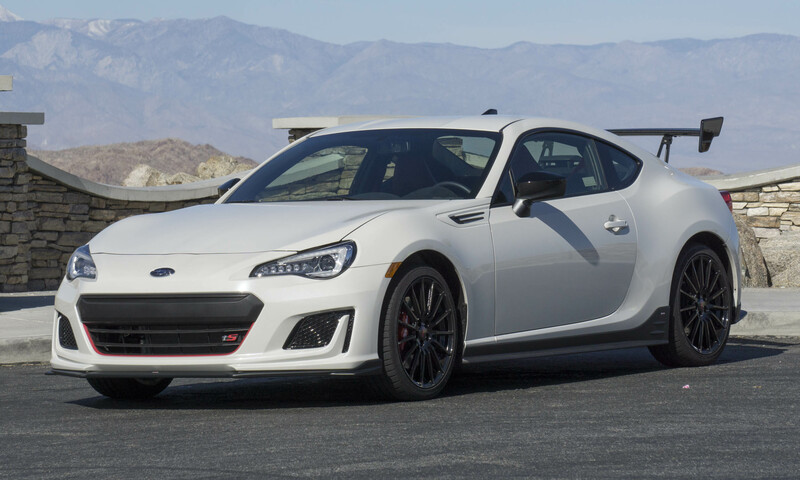 The Subaru BRZ offers great performance in standard guise, but for those wanting something more, Subaru is offering the limited editions BRZ tS. What better way could there to be to celebrate the 30th anniversary of Subaru’s motorsports division, Subaru Technica International, than with a special-edition model designed to showcase what STI does best? 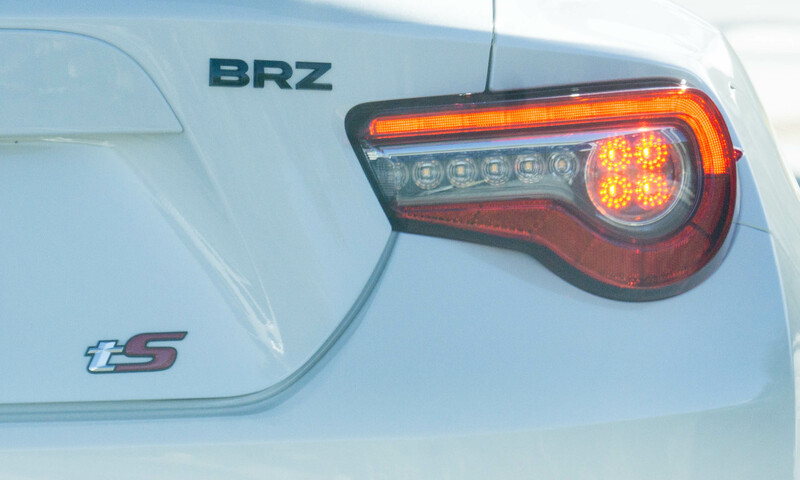 Engineers and designers made many enhancements to transform the BRZ into the tS. 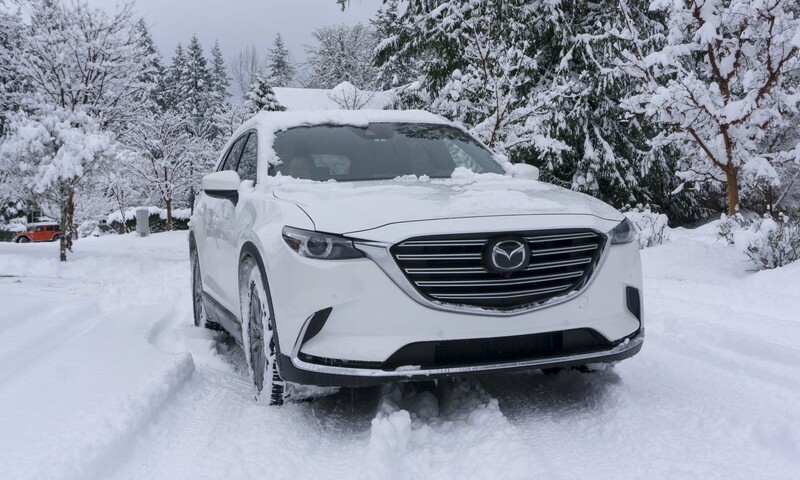 In addition to upgrades to performance and handling, this special model will be easily identifiable by several exterior features, a sporty interior and special wheels. Only 500 will be made, and each will carry a badge on the center console indicating the vehicle’s sequence number. As Subaru’s only rear-wheel drive model, the BRZ is already built with driving enthusiasts in mind. Rear-wheel drive, balanced handling and excellent everyday drivability have been the hallmarks of this sporty coupe since it premiered in 2013. 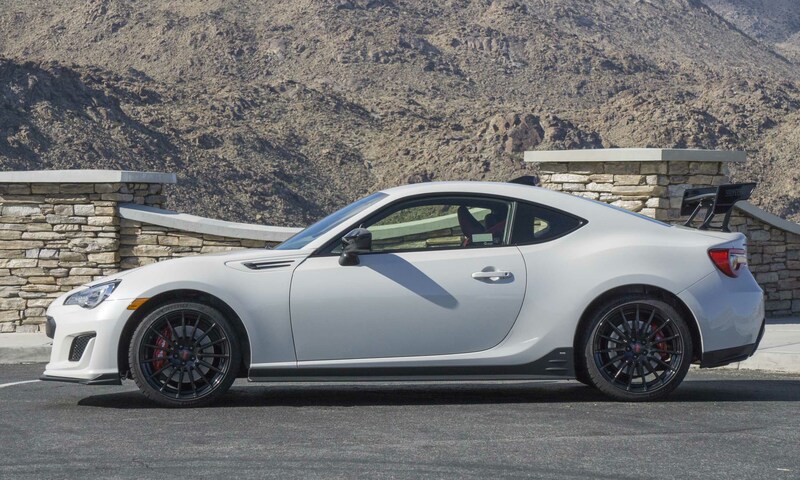 With tuning by STI, this special BRZ is designed to improve control and stability while remaining a great everyday driver. 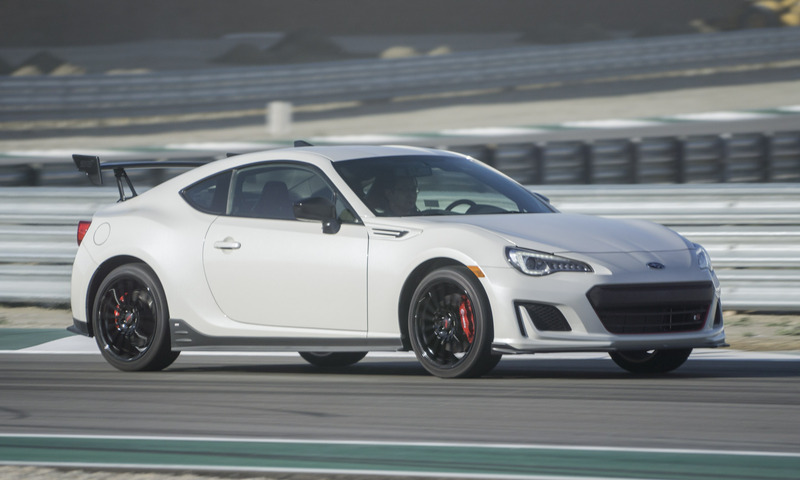 The BRZ tS steps up from the standard model with STI-tuned front and rear SACHS dampers and coil springs as well as flexible V-braces in the engine compartment. The chassis and subframe get new draw stiffeners to improve steering response. 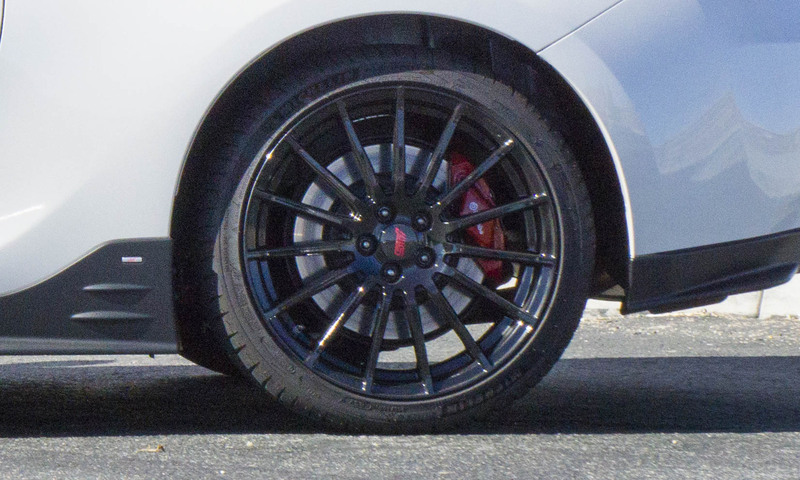 Further improving steering and handling are new 18-inch lightweight STI alloy wheels shod with 215/40 R 18 Michelin Pilot Sport 4 high-performance tires. 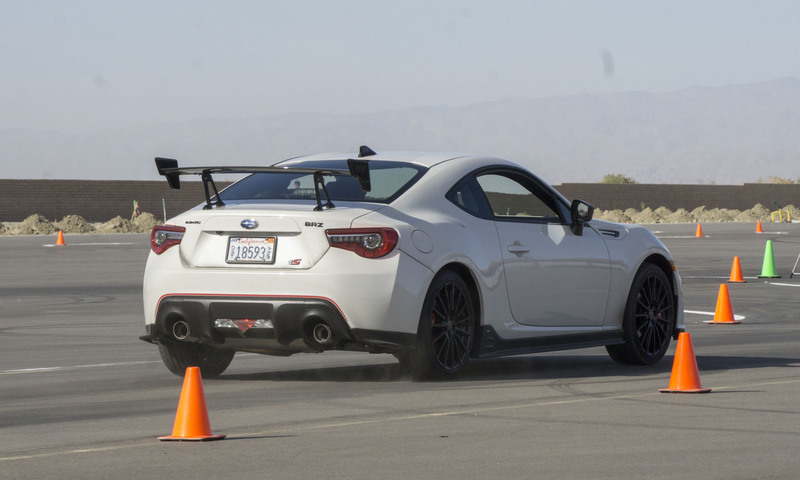 This is the first time the BRZ had been equipped with 18-inch wheels from the factory. Stopping power gets enhanced with high-performance Brembo brakes featuring 4-piston front calipers and 2-piston rear calipers. This is the same braking system that Subaru introduced on the BRZ Performance Package. 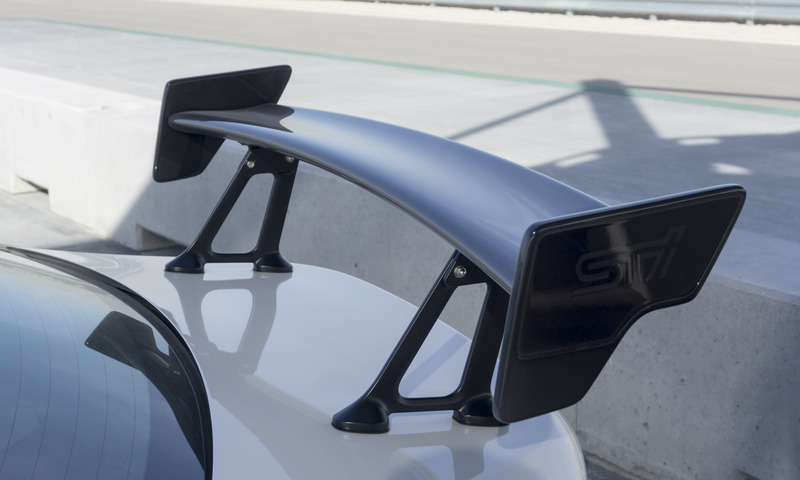 Helping to keep the BRZ tS properly planted on the pavement is a new carbon fiber STI rear wing that can be manually adjusted to fine tune downforce — especially useful at the track. 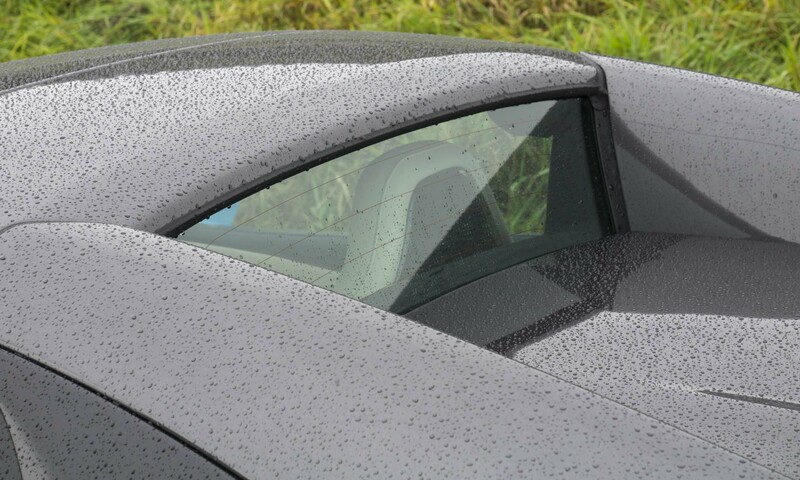 Additional aero spoilers have been added to the lower front, rear and sides to further improve stability by better controlling the airflow. 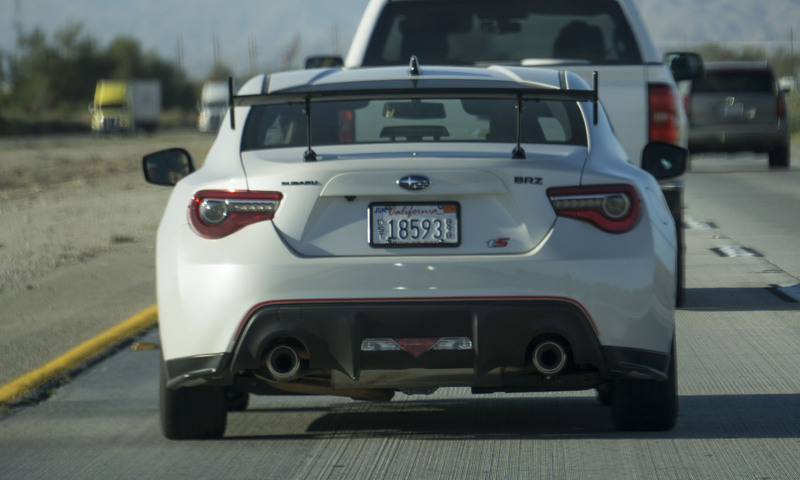 That large rear wing is not only functional, it makes it clear that this is not your typical BRZ. 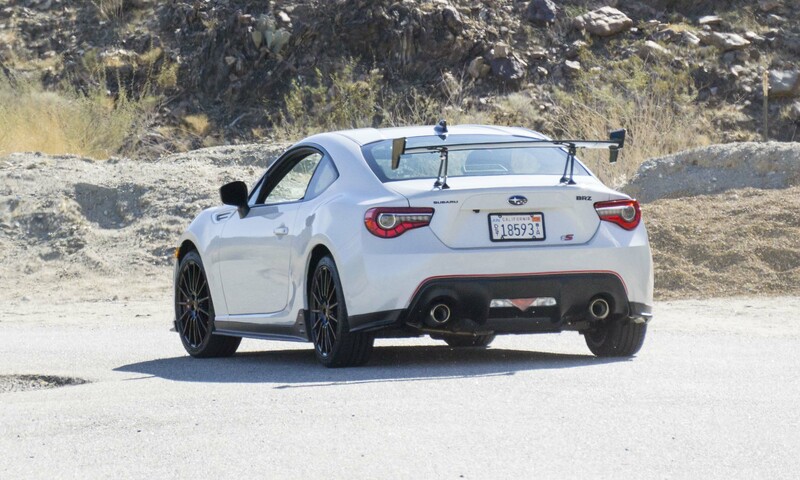 Although we are not typically fans of large wings — since they can make a car look a little too “boy racer” — the carbon-fiber wing on the BRZ integrates nicely. And even better, it does not block the view through the rear window. Other exterior distinguishing design cues include the Cherry Blossom Red accent around the front grille and highlighting the unique rear bumper cover. There’s also a tS badge on the rear for those who didn’t happen to notice the big rear wing. For what it’s worth, buyers of the tS do have to say goodbye to the fog lights. 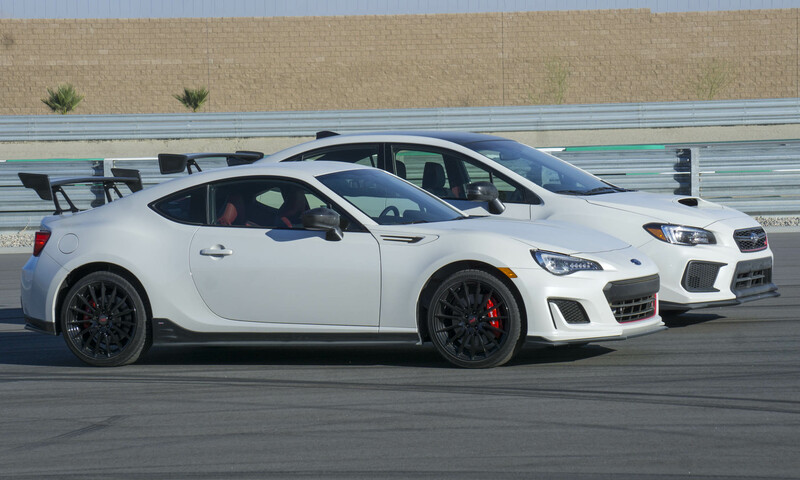 The BRZ tS can be had in one of three colors: WR Blue Pearl, Crystal Black Silica and Crystal White Pearl. 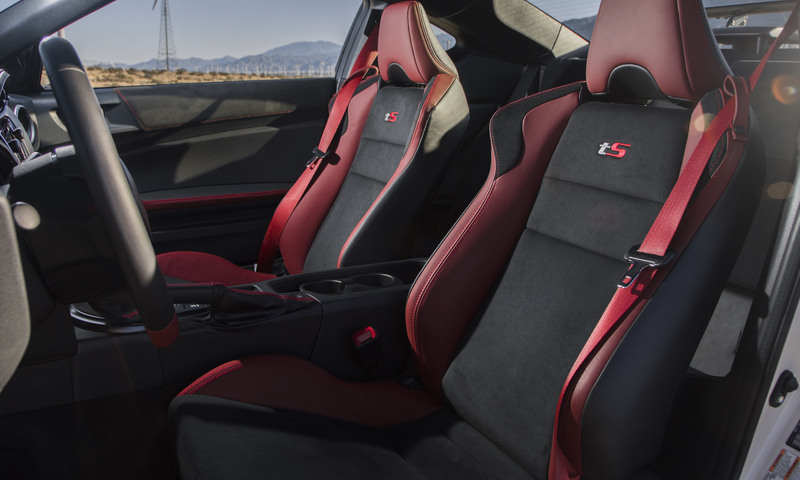 Inside, the tS also stands out from the standard BRZ with seats trimmed in black leather and Alcantara, highlighted with red stitching. 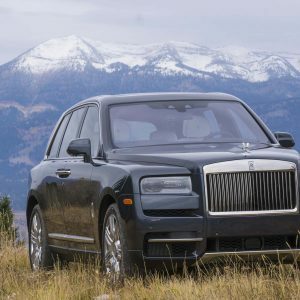 There are red accents throughout the interior, including red leather bolsters in the front seats, red trim on the steering wheel and additional red stitching on the dashboard as well as the shifter boot. Red seatbelts complete the look. 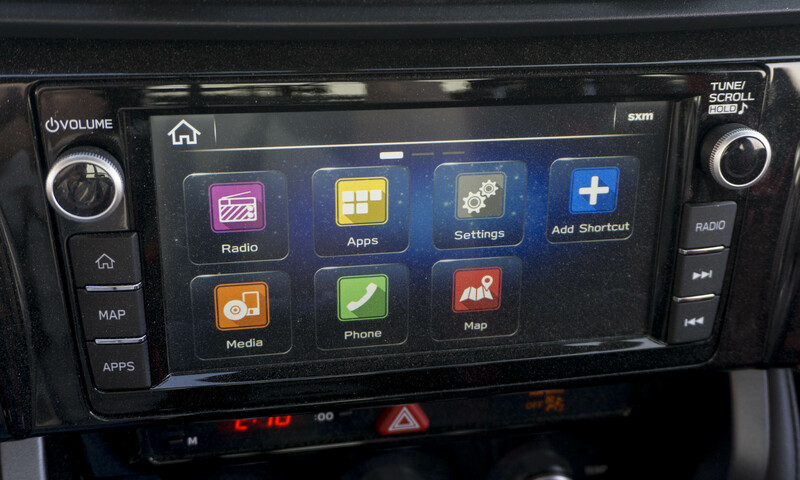 The BRZ tS is equipped with Subaru’s latest infotainment system, Starlink 7.0. The system features a 7-inch touchscreen display, navigation by TomTom and Bluetooth hand’s free communication and streaming. We were happy to discover that Subaru has also added Apple CarPlay and Android Auto for better smartphone integration. 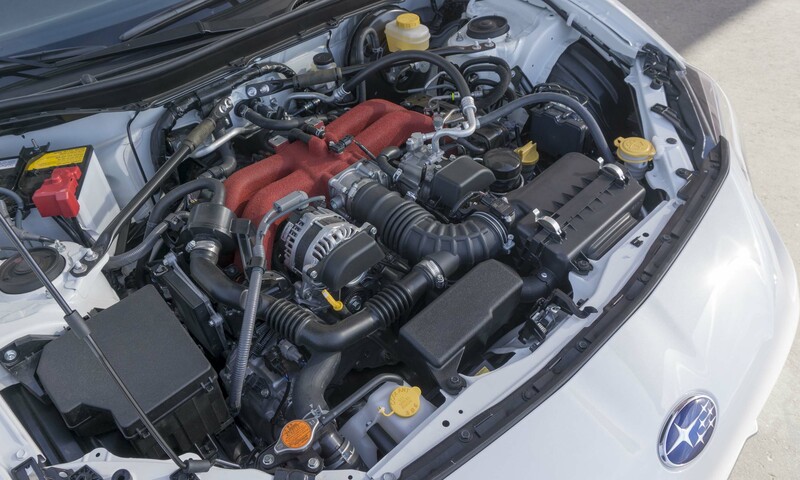 While the BRZ tS gets some impressive upgrades in the handling department, power remains the same as the standard BRZ. That would be the 2.0-liter horizontally-opposed 4-cylinder engine producing 205 horsepower and 156 lb-ft of torque. 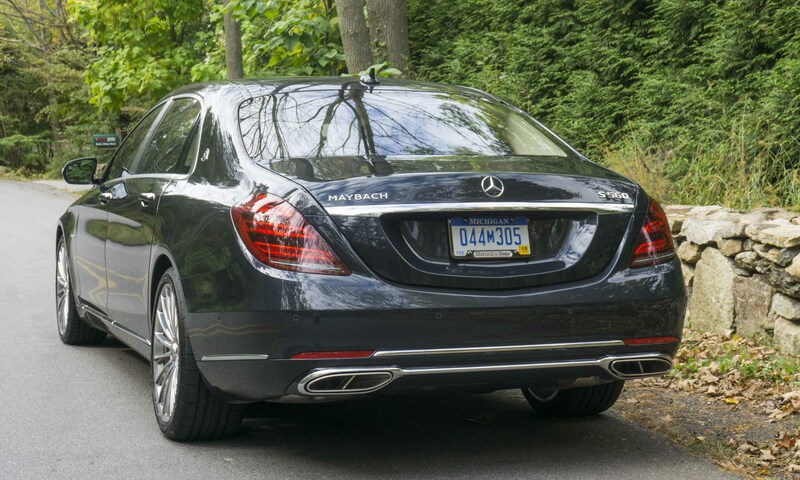 Power is delivered to the rear wheels via a 6-speed manual gearbox. No automatic transmission is available on the tS — for consumers seeking an automatic, the tS is not the right car. 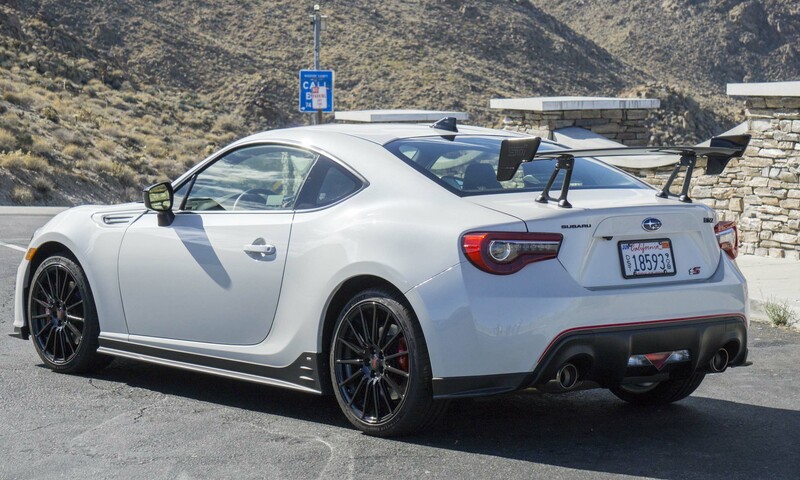 We had the opportunity to test the BRZ tS on mountain roads around Palm Springs, California. 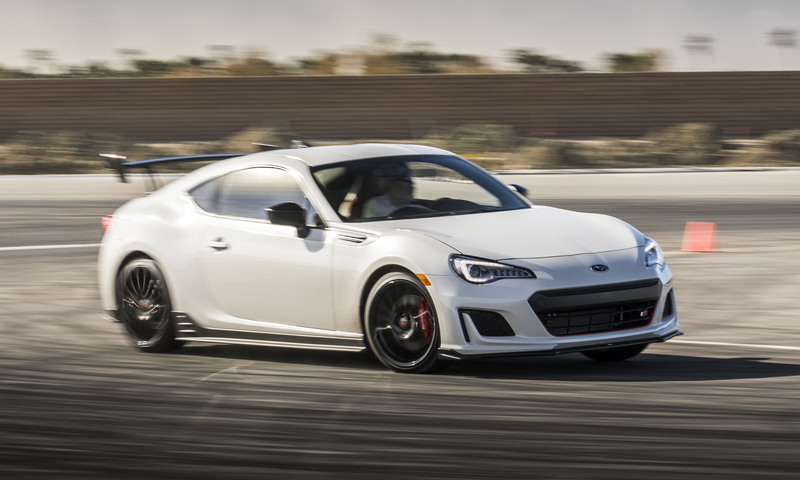 From the moment we slid behind the wheel and headed up a twisty road it was immediately noticeable how much more grip this special BRZ delivers. This car has always handled well — even in standard form — but the upgraded tires and suspension work well together. With a smooth gearbox, a satisfying exhaust note and spot-on steering, the BRZ tS is a pure joy to take through any winding roads. 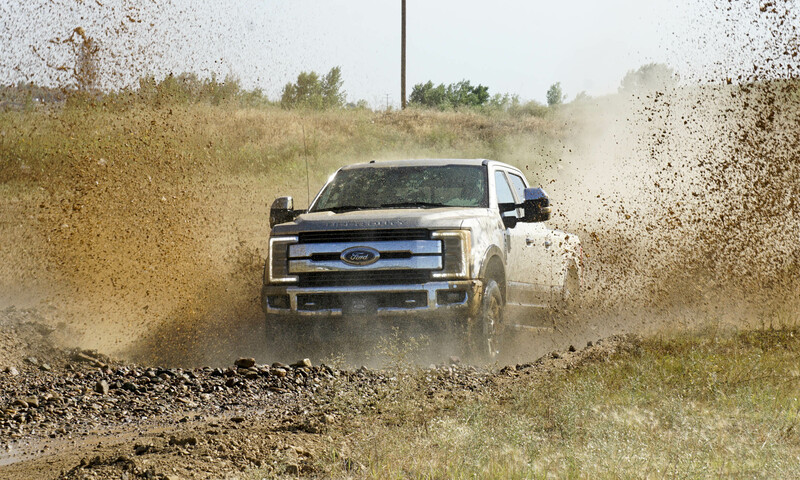 Even though the tS is built with improved handling, the ride has not been compromised. We spent considerable time driving through town and in traffic, and the BRZ was perfectly comfortable — the ride was not jarring or rough. There are some instances when the BRZ can feel a bit underpowered — when accelerating from a standstill some might wish for a bit more oomph – but in most situations the small coupe feels quick and agile. 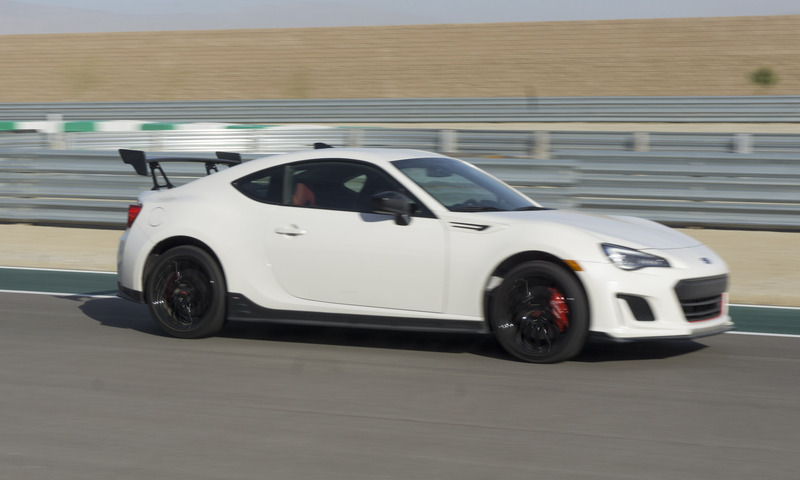 On the track the BRZ tS really comes into its own. The track at Thermal doesn’t have much in elevation change — it’s in the desert, after all — but there are plenty of sharp, sweeping turns to showcase the capability of this sporty Subaru. 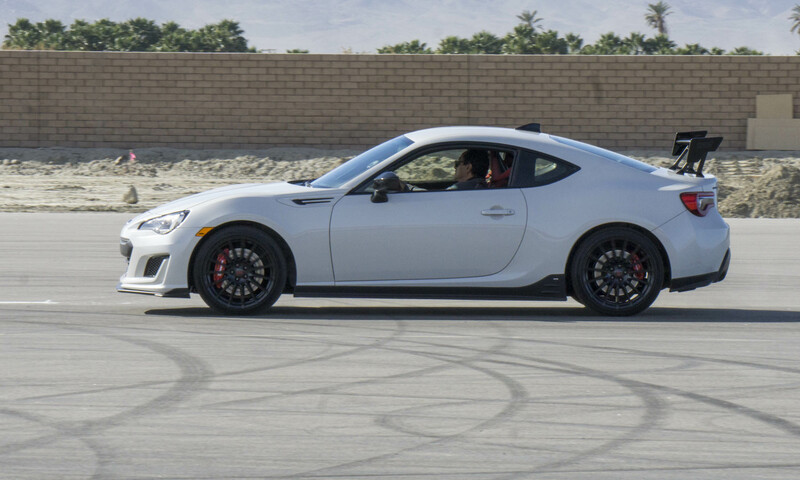 The BRZ tS feels incredibly balanced so that the car stays planted even with quick changes in direction. 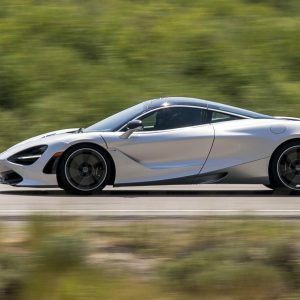 Steering response is surprisingly quick, which adds to the deep satisfaction this car provides on the track. 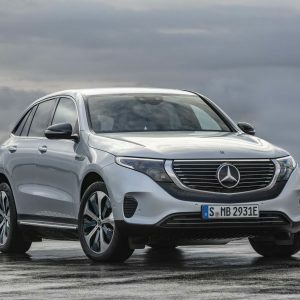 We also had the opportunity to put the tS through its paces on an autocross course — a great chance to explore the car’s limits without the danger of high-speed departures from road or track. Continuing the theme of excellent handling, the BRZ remained easy to control even when kicking the rear out into a drift. There was very little understeer thanks to the grippy Michelin Pilot Sport tires. The car is so much fun to drive that you just want to toss it around all day. 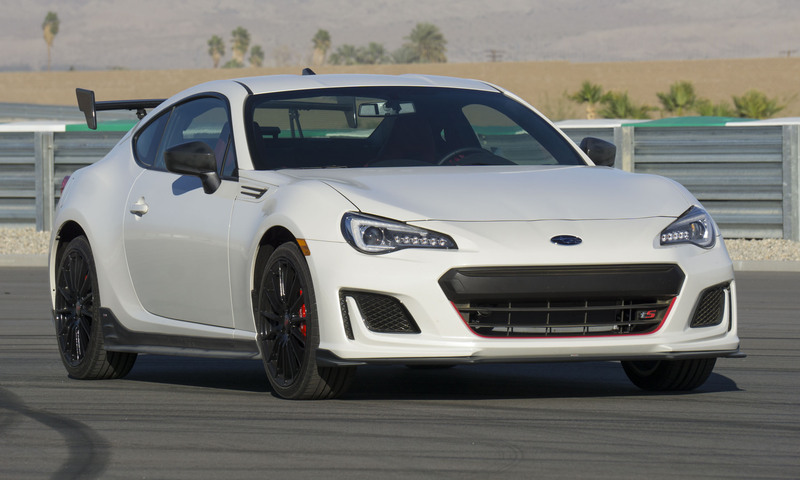 There aren’t very many small sport coupes with rear-wheel drive available in America, so the BRZ stands out as something special from the start. But for buyers who want a fun-to-drive daily driver that can feel right at home on a twisty mountain road or hold its own on a track day, it may be time to head to the Subaru dealer and snap up one of these special BRZs. The tS arrives in showrooms this spring with a base retail price of $33,495. With only 500 available, they’re liable to go fast — and then go fast. Pros: Excellent handling; good looks; good value. Cons: Sometimes lacking in power; tiny rear seat. 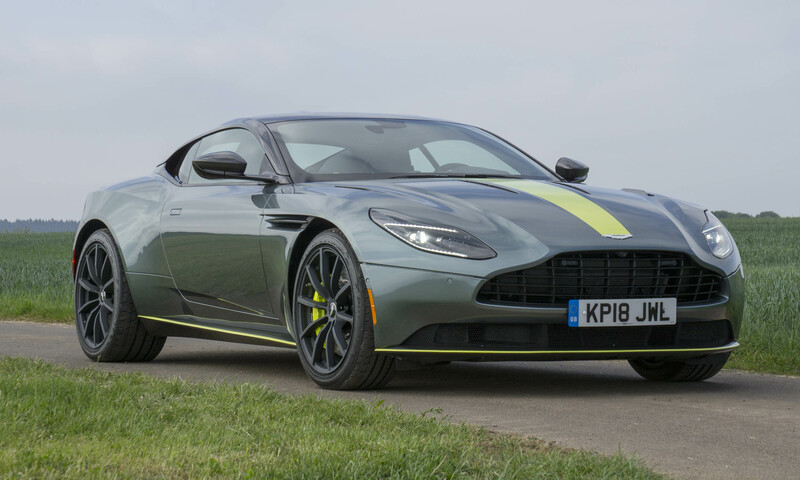 Bottom Line: Fun to drive on the street or track.